Pearl was a novel I didn't think I'd enjoy that ended up completely surprising me. It's a very in depth look at what trauma, abuse, and growing up around addiction will do to someone, especially a teenage girl. Pearl is the daughter of washed up former rock star Janet Jaeger--or JJ, as others call her. JJ used to have it all--fame, money, designer clothes, an ardent fanbase. But, slowly and surely, all of that fell away as JJ blew her money on drugs and made a series of poor choices that ended up with Pearl taking on the responsibility of taking care of her mother. For Pearl's whole life, JJ has put her addiction before everything... even Pearl. Trauma and addiction are tricky things to write about, and even tricker as a reader to be able to digest. Even if you've never had experience with the subject matter, being in a character's head and having those emotions dredged up in you can be off-putting. It can go horribly wrong, or in this case, pristinely right. This book was long, and a little slow to get through, but it's because we got such deep and poignant insight into who Pearl was and exactly what went on in her head. I see some reviews that list this as a negative, but I see it as an absolute positive. Someone who's been through what Pearl has would always be thinking thinking thinking because that's what trauma does to you. Your brain cannot rest. I thought the way Hall wrote the story, with such beautiful prose that evoked vivid imagery and intense emotion, was what made this story. I'm a stickler for "clear and concise" more than anyone I know, but Pearl just worked. Pearl was just trying to find who she was. After spending her whole life worrying about her mom, getting them out of bad situations like JJ's abusive and cracked out boyfriends, and basically being the adult in the relationship, Pearl doesn't know who she is without her mother. She's never had the chance to explore herself, aside from the times she stole away from reality to sketch in her notebook and admire the pages of Vogue that she would purchase by scrounging up loose change she could find. At it's core, Pearl was about Pearl becoming herself. Discovering what it meant to be PJ, the nickname she gives herself and the girl who is in charge of her own life, instead of Pearl Jaeger, daughter of the infamous drug addict. At the boarding school Pearl is sent to, she meets a whole host of interesting people. She creates an unlikely friendship with her goody goody roommate Charmindy, and a not so unlikely friendship with "bad girl" Sorel. Interestingly, Pearl's friendship with Sorel allowed her to explore some of the dynamics Pearl had with her mother, but on a less personal and toxic level. The friendships Pearl makes are invaluable to her finding her way through life. Through Sorel, Pearl meets Grant and they have an instant connection. The romance in this novel was not the central aspect, and honestly it didn't capture me the way it should have. But, Pearl's relationship with Grant was yet another facet of herself she had to eek out and discover, and while it brought its fair share of heartbreak, it also brought her mountains of personal growth and discovery. Pearl falls into a similar spiral that her mother does, and ends up "self-medicating" her emotions with drugs and alcohol. While away at summer school, she gets swept up by a glitzy and glimmering group of friends who introduce her to the party life and Pearl seems to lose the progress she's made so far. It's so frustrating to be rooting her on, knowing she's so much better than this, but to see her make the same mistakes her mother made anyway. But, hitting her own version of rock bottom, even when she thought she couldn't go any lower, allows Pearl to climb her way out and find equilibrium again. Overall, I greatly enjoyed Pearl. Not an actual visceral enjoyment, because the book itself is very emotional and oftentimes painful. But, the fact that it elicited such a response from me is important. I do recommend it, as long as you don't have any issues with reading about drug use. Pearl is available as a Kindle download, hardcover, paperback, and audiobook. Deirdre studied at George Washington University. She enjoys writing, reading, surfing, and yoga. One of the best things about those activities is they're all done barefoot. Although she loves shoes, she doesn't like to wear them. 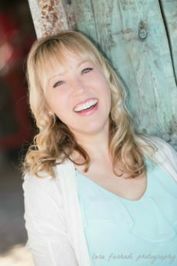 Deirdre writes upper young adult and new adult fiction. She spends her days with her family, at the custom-made desk her husband crafted—writing (what else?) or seaside, pretending she's a mermaid. 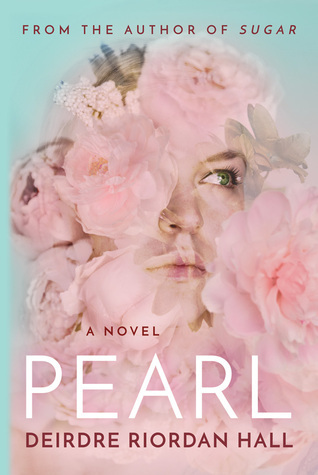 I'll be giving away my paperback copy of Pearl! US only, must be 18 or older to enter! This review copy was provided for free in exchange for an honest review. All views expressed above are solely my own. Amazon affiliate links included.